Be a Force for Change: Disrupt. Innovate. Energize. Violent Leadership presents a style of leadership identified by a passionate, innovative, active and disruptive pursuit of success. It is a positive and energetic pursuit of purpose and success. 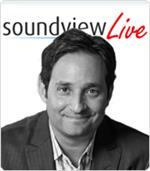 Wesley Middleton explains strategies you can use to unite your team behind a common objective. 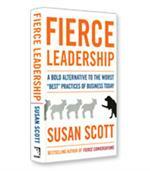 He presents his philosophy of leading teams with passion, strength and force and shares real-life examples from his own experience that demonstrate what it takes to be a Violent Leader. 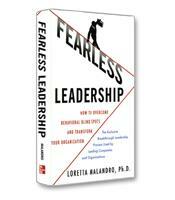 Another element of violent leadership is what Middleton calls being a “thermostat.” Middleton separates managers into two types: thermometers who simply record the temperature and thermostats who set the temperature — or “set the tone” in the office, a tone that is upbeat and energetic. “To have an energetic, positive and motivated team, managers have to be energetic, positive and motivated,” he writes. 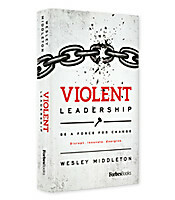 Middleton uses many stories from his firm’s experience to demonstrate the effectiveness of his version of violent leadership. He describes in one chapter, for example, how to assign roles for partners and owners based on strengths. In another chapter, he proposes a restructuring of firms from the traditional “finders, minders and grinders” to the more client-centric “advisers, solvers and servers” — the latter category including a client-experience officer who oversees the firm’s client-relationship managers, a brand-experience officer and an employee-experience officer. Middleton writes with both passion and humility about his firm and about his leadership style. 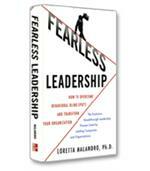 Although centered on professional services, the lessons of Violent Leadership would no doubt be applicable to any company seeking to create an innovative culture that is energetic and fearless.